What did Roman children do first when they arrived at school in the morning? What excuse for missing school could be counted on to stave off a whipping from the teacher? What did a Roman banker do when someone came to borrow money? What did a Roman wife say when her husband came home drunk? The answers to such questions can be found not in mainstream ancient literature (whose writers had their minds on higher things) but in language textbooks for ancient Latin learners. 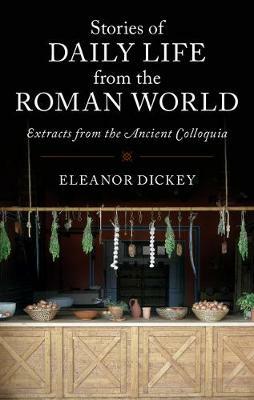 These 'colloquia' offer an ancient introduction to Roman culture, covering such areas as shopping, banking, bathing, dining, arguing, and going to school; recently rediscovered, they are here presented for the first time in a format aimed at readers with no prior knowledge of Latin, Greek, or the ancient world. They come complete with introductory material, extensive illustrations, and a full explanation of their fascinating history.